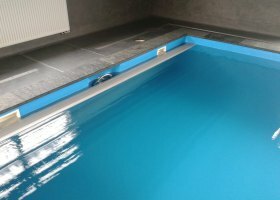 Safepool is the most advanced pool cover system designed and manufactured by TP plus CL. Exclusive cover. Advanced, attractive and resistant pool slats by TP plus CL. 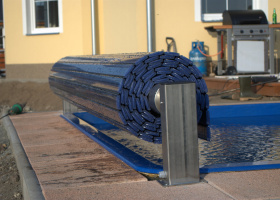 With a rigid slatted pool cover, your pool is automatically safer. 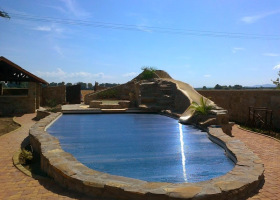 Below ground pool covers are a elegant solution. 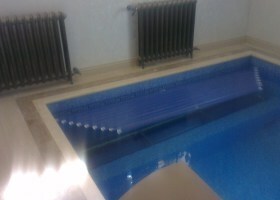 Pool slats are a perfect way of pool covering. This system is the only one that enables automatic covering without the use of guiding rails, poles and ropes. 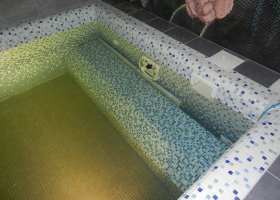 The system uses unique extruded slats (hermetically ended); their connection creates a roller shutter that perfectly covers pool water surface. 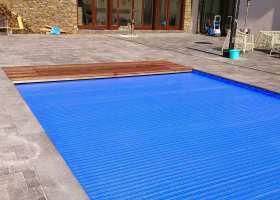 The slatted cover with an appropriate design of the pool will increase the safety of your children and pets from falling into the water. 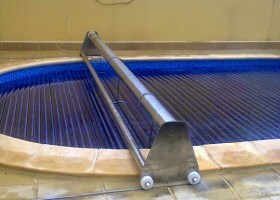 The slatted cover reduces costs of heating the pool up to by 80%, significantly reduces evaporation and reduces consumption of chemical products by 60%. 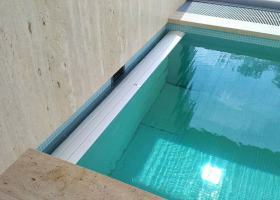 Safepool slats maintain an impression of water level and at the same time, they provide an exclusive pool appearance. 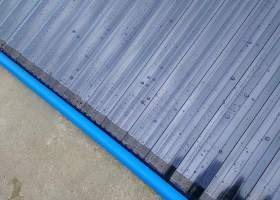 The slatted cover reduces pool contamination by fallen leaves and other debris. 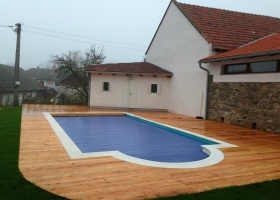 This shortens the time needed for pool maintenance. 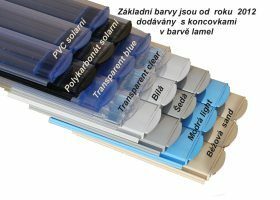 We use high quality materials – special plastics and stainless steel, which are highly resistant. The best available components from EU are used for drives and control.